The latest addition to our fleet is a 12T DAF Tipper lorry to replace an older 7.5T Tipper lorry. This new lorry is not only newer and more economical, but by having a larger weight capacity than our old one, it allows us to carry heavier loads, giving us a more versatile range of items which can be transported to and from site, meaning we can reduce journeys by almost half! 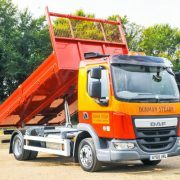 With an insulated body and tarmac chutes, we have designed this lorry to be able to carry a good variety of materials; saving transportation costs from third party sources and also allowing us the ability to control time frames, ensuring materials are always on site when required and deadlines are met. 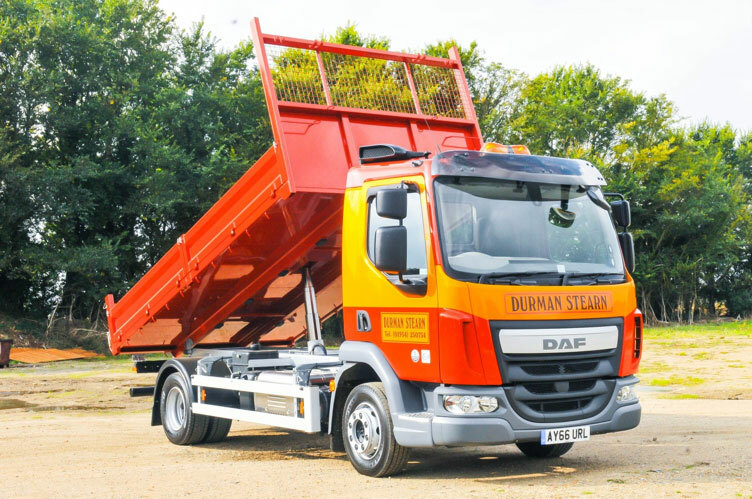 Our lorry is FORS compliant to meet silver accreditation, meaning this vehicle has a wide range of safety features installed ensuring Durman Stearn are not restricted from working with any type of client. With a PACCAR Euro 6 engine the lorry has low fuel consumption and the lowest emission level ever, making it one of the cleanest and most environmentally friendly vehicles of its size.